We will be hosting our Annual General Meeting (AGM) on Wednesday, June 13, 2018 for the members of our club. Members are encouraged to attend in order to learn about upcoming events, as well as to bring up any questions that the Board can answer. The board hopes that all members in good standing will take the opportunity to attend, voice their concerns and be part of decision making as we work to grow and improve our club. 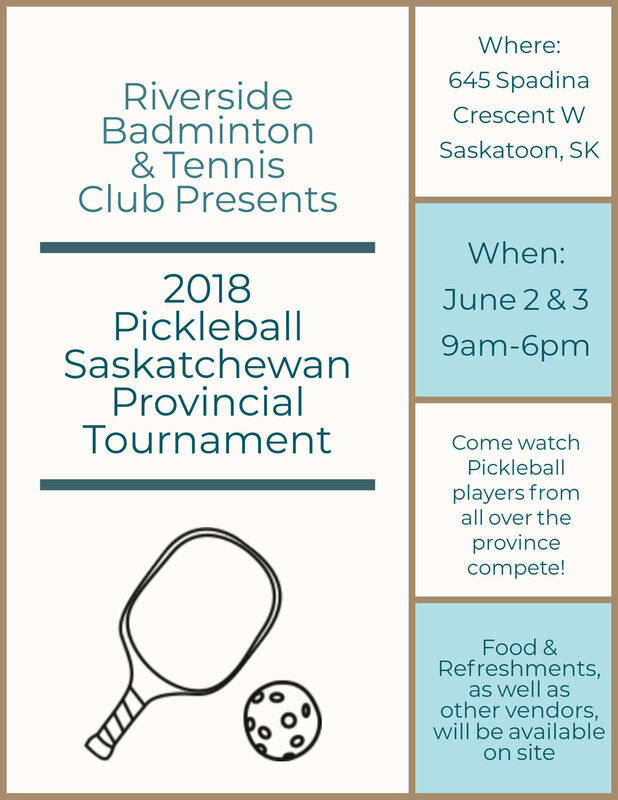 We will be hosting our last Indoor Pickleball Fun Tournament on May 6. There will be a maximum of 48 players (24 men and 24 women). Players must pay the tournament fee when registering and will not be refunded for dropping out. Registration can be made at the front desk and Riverside. Food: Players are encouraged to bring their favourite dish, as this will be a potluck dinner.